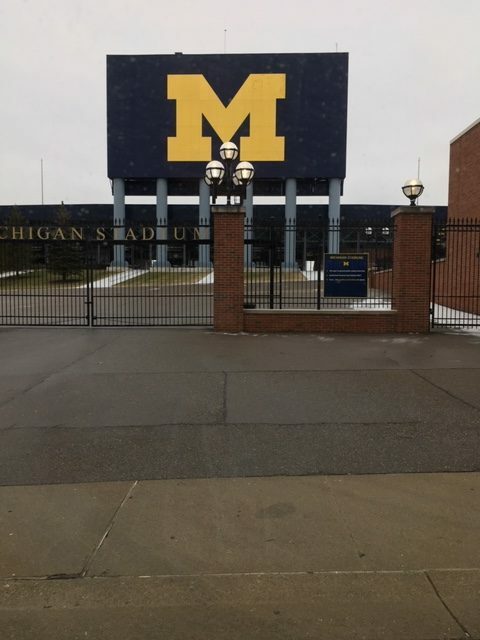 Today I headed back to Ann Arbor for yet another check-up, but each time I go to the land of the maize and blue, I am reminded of how grateful I am for the medical advances that Michigan has and the ability to have such detailed health care. Even in the midst of all of the appointments, med changes, phone calls, and emails, I want to keep reminding myself that we are a small percentage in the world that has care like this! My appointment today was to discuss my med changes, take some continuous vitals for comparison, and to talk the next steps. This past week they had me increase one med and decrease another, and despite being a bit more fatigued and having headaches, it is going well. So, they are going to stay on that same path in hopes that my heart function increases over the course of time, as we make these changes slowly. And I’m just fine with slow because my body has not proved to handle medication changes well. I am so incredibly thankful though that I was able to stay hospital free this past week and we continue to hope that is the trend! Going into today, I knew I had some other lingering issues, so today we finally addressed some of those as well. I have some chronic potassium issues and my kidney function has been consistently below normal, so I will need to see a kidney doctor if the numbers do not improve over the next few months. I also have high glucose readings, so I was tested for diabetes which thankfully came back normal, but we still have to address that issue, so I have been referred to a dietician. Why not, right? I have also experienced my hands and feet “falling asleep” at random, so if that also does not improve, then I have to see a neurologist. Oye! Just when heart stuff is stabilizing, might as well add some other reasons to see a doctor! I can’t help but think that the amount of meds, surgeries, and changes my body has had, that this is all that is wrong with it and not more! Honestly, I’ll take all of those issues over another major diagnosis! I do not have to go back to see my cardiologist for 3 months (I have a surgery in between there for an ICD), but that is a record for me and I celebrate that news! Many changes will be made, but they are going to try and regulate them via blood draws and phone calls. As I stood up, the doctor looked at me and said, “Kristin, you look good. You look GOOD.” It may seem like an odd thing to be told and maybe not a huge deal to most. But to a heart patient who has wrestled with so many issues and has felt everything BUT good at times, to know that I am finally making progress and taking steps forward, I took that as motivation to keep fighting. Hopefully all of these other issues are nothing and that they can be regulated soon. But all I can do is my best and live with the confidence that God has a good plan for all of this – a plan that displays His glory. And each of us has a front row seat in displaying His glory. You don’t need a heart diagnosis to do so. You can do this right where you are at – in whatever roles God has called you to. What a high calling and honor that is! « Steaming Away Dirt and Grime + A GIVEAWAY!